Valentyna Andriivna Rudenko (born 01.02.1951), PhD (1985), senior researcher (2002), academic secretary of the Romodanov Neurosurgery Institute (since 2000). Graduated from Shevchenko Kyiv State University with honors (1973). Since 1973 she has worked in the Institute of Neurosurgery: senior laboratory assistant (1976–1978), junior researcher of the Institute of Neurosurgery – appointed on a competitive basis (1978–1988), senior researcher — appointed on a competitive basis (1988–2000), academic secretary of the Romodanov Neurosurgery Institute (since 2000). In 1985 she defended a dissertation “Changes in cellular and humoral immune responses in patients with traumatic brain injury and possibility of their correction”. Academic rank “Senior researcher” in the specialty of immunology and allergology (2002). 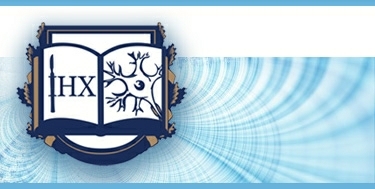 Member of the Immunologists’ Society of Ukraine. Awarded the Order of Princess Olga III degree (2017). – Immune changes in case of transplantation of embryonic nervous tissue and its components in patients with various nervous system pathologies (clinic, experiment). Present-day vision of closed TBI pathogenesis (1996), Immune properties of cerebral cells (1999), Blood-brain barrier and its role in CNS immune processes (1999), System and regional neuroimmune processes in patients with CNS focal lesions (2000), Immunological aspects of transplantation of embryonic nervous tissue (2001), Changes in the immune status of patients with disseminated encephalomyelitis (2013); Cytotoxic function of neutrophils during gene and cytokine therapy in the treatment of experimental allergic encephalomyelitis in rats (2014); Cytokine status and neuroaution-immune reactions in patients with acute cerebrovascular disorder with different consequences of clinical course (2015); Xenogeneic transplantation of mesenchymal stem cells transfected with the IL-10 gene as a method of cell therapy for experimental allergic encephalomyelitis (2015); Immunology of brain stem cells (2017).